I guess it was naïve of many of us to believe the federal judiciary would be above the partisan politics that stymies the executive and legislative branches of government. I always thought the founders created a judicial system that would be immune from politics. Those silly men. Neil Gorsuch stands before the U.S. Senate awaiting confirmation to the U.S. Supreme Court. 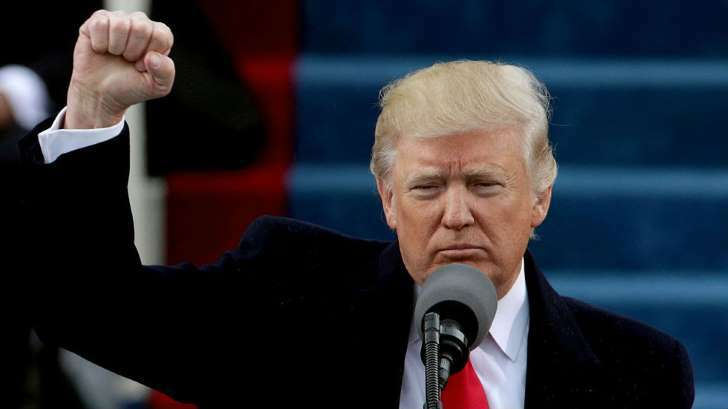 Two Democratic senators — Joe Manchin of West Virginia and Heidi Heitkamp said today they would vote to confirm the judge nominated by Donald J. Trump to the nation’s highest court. Senate Republicans need eight Democrats to join them to get to the magic number of 60 votes to confirm Gorsuch. I have admitted this already, but Gorsuch is not my choice to become a high court justice. He is, though, the pick of the president, who has the constitutional authority to make these selections. My hope would be that Democrats wouldn’t filibuster this nomination. They should save their ammo for when it really counts, such as when a liberal justice leaves the court. 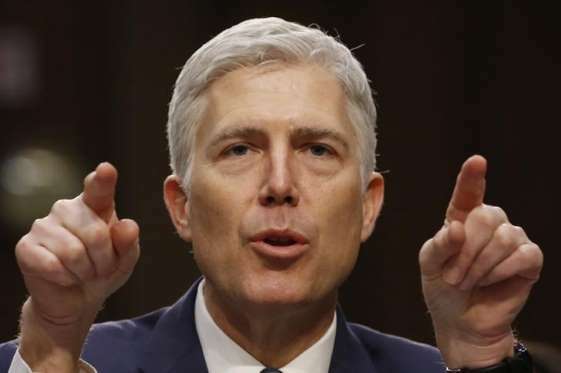 Gorsuch is a conservative who would replace the late Antonin Scalia, the iconic justice who died more than a year ago. I also believe that this is a “stolen” seat that in reality belongs to Merrick Garland, who was selected by former President Barack Obama to succeed Scalia. Senate Republicans played pure politics by refusing to give Garland a hearing and a vote. That is to their everlasting shame. That, I’m afraid to acknowledge, is how the game is played these days. Judges have become political animals, just like the men and women who get to appoint and decide whether to confirm them to judicial posts. That’s too bad for the system. 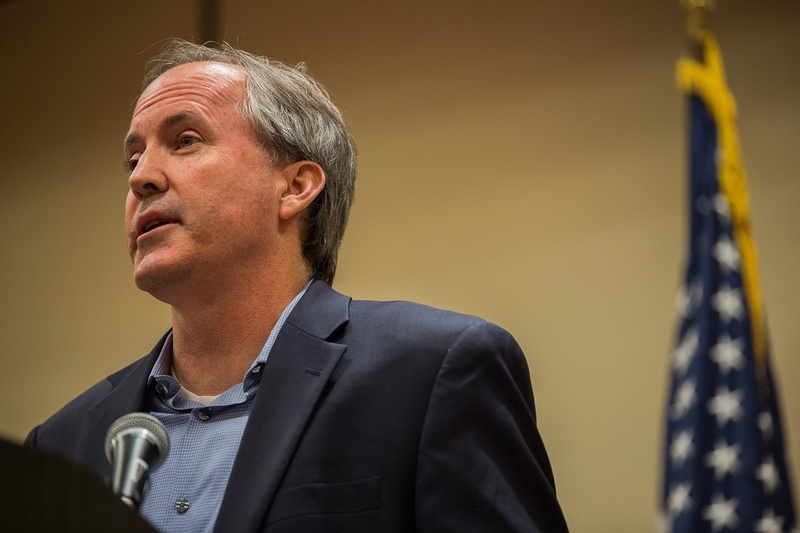 Ken Paxton wanted to be tried by a jury of his peers in his home county in Texas. State lawyers who are prosecuting him on charges of securities fraud said the Texas attorney general’s legal team had poisoned the jury pool and asked the judge for a change of venue. Today, the judge agreed and moved the case out of Collin County; he also ordered a delay in the trial, I presume to give the principals a chance to find a suitable venue to try the attorney general. It’s because a Collin County grand jury indicted Paxton on securities charges stemming from an allegation that he misled investors involved in a company with which Paxton was involved before he was elected attorney general in 2014. The way I figured at the time, if a grand jury comprising peers of the attorney general would indict him, then surely a trial judge could find a suitable pool of trial jurors to hear the case and then decide on his guilt or innocence. Paxton, you see, represented Collin County in the Texas Legislature before running for AG three years ago. Paxton has suffered a stinging defeat to be sure. He now is going to stand before jurors who are ostensibly neutral in this case, who don’t know the AG personally or who’ve never had the chance to vote for him while he served in the Legislature. Then again, he is a statewide elected official. Which makes me wonder: Where can one find a jury pool that is totally neutral? Trump at war … with conservatives in GOP! Conservative Republicans should have known what they were getting when they stood firmly behind their party’s presidential nominee in 2016. They were backing a guy who didn’t understand them, didn’t understand how to legislate, didn’t grasp the degree to which they would run through brick walls to get their way. 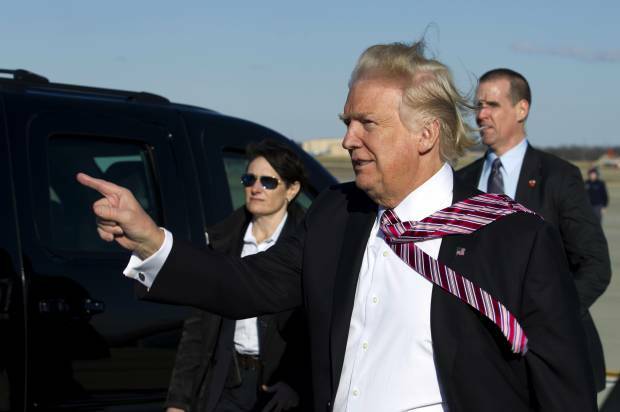 So, when Donald Trump hooked up with congressional GOP leaders — comprising a few moderates here and there along with some notable conservatives — on a cobbled-together health care overhaul, the Freedom Caucus bolted. The caucus opposed the American Health Care Act. It spoke as one. The president couldn’t deliver. Don’t get me wrong. I don’t think the Affordable Care Act should be repealed. It does kind of make me chuckle, too, to see the president get his head handed to him by a group of zealots who want the ACA tossed into the crapper. But now the president has all but declared war against the Freedom Caucus. I believe this open warfare might doom whatever passes for Trump’s legislative agenda for, oh, the foreseeable future. Trump is a RINO to many conservatives anyway. RINO, of course, means Republican In Name Only and it’s not altogether clear what precisely informs any public policy that pops into the president’s noggin. The biggest surprise to me was that conservatives would stand with this candidate to begin with, given his bizarre personal marital history, his acknowledged groping of women, the manner in which he spoke to — and about — his more conservative GOP primary opponents. Whenever I hear Trump talk openly about matters important to social conservatives, one word keeps popping into my head: panderer. Thus, I shouldn’t be surprised that the president would stake his agenda on cooperation with anyone other than the Freedom Caucus. He’s not one of them. They certainly do not follow his lead. The battle, therefore, is joined. The word is out: Former national security adviser Michael Flynn is trying to obtain immunity from criminal prosecution in exchange for what he knows about the Donald Trump presidential campaign and its possible relationship with Russian government officials. The retired Army lieutenant general and his lawyers are dickering with congressional intelligence committees — in the House and the Senate — over an immunity deal. Hmmm. Whether to grant it or not. My gut tells me that will depend on what he has to tell senators and House members and their investigators. Flynn was forced to resign as national security adviser after he admitted to lying to Vice President Mike Pence and others about whether he talked to Russian officials during the 2016 presidential campaign. At issue is whether Russian officials hacked into our electoral process seeking to influence the outcome in Trump’s favor — and whether the Trump campaign colluded with the Russians in any way, shape or form. The story doesn’t end there. It is now threatening to swallow up the president himself. Flynn’s request for immunity might suggest — at least it does to me — that he might be able to tell congressional investigators some highly valuable information about what the president knew, when he knew and how he reacted to whatever he might have learned. Flynn could turn out to be a tiny minnow in a net full of much bigger fish if he gets the immunity he is requesting. I find it fascinating to the max that he has been so quiet for so long after leaving the Trump administration just 24 days on the job as the president’s main man on national security. He’s gone. Then again, he might return in a major way if House and Senate committee chairmen decide to grant him immunity. Talk to us, Gen. Flynn. Many millions of us are waiting to know the truth about your former boss — given that he won’t tell us himself. What would you do about a bear cub? I am on Corey Hancock’s side. State and federal wildlife officials are pondering whether to fine Hancock for doing what came, uh, natural to him. Hancock was hiking along the Santiam River when he spotted the cub. He picked it up, took it home and is nursing it back to good health … or so he hopes. I understand intellectually the hazards of doing what Hancock did. I cannot get past the question: What would I do if I were in that position? For that matter, what would most folks do? I get angry just watching wildlife shows on TV where camera crews witness nature’s cruelty. Again, I understand that they’re on hand to record nature, not to change it. Still, I think the armchair critics ought to give Corey Hancock at least a smidgen of a benefit of the doubt. He acted like a human being. Didn’t they enact an anti-nepotism law? President-elect John F. Kennedy called the media together shortly after his election in 1960 to announce his choice for attorney general. It would be his brother, Robert, who never had practiced law privately. He had served as general counsel to a Senate committee chaired by the infamous Joseph McCarthy and later worked with his brother in the Senate. JFK joked that RFK needed a bit of experience before he would become a successful lawyer, so he named him AG. The appointment caused some consternation at the time, even though RFK would go on to become a highly effective attorney general. In 1967, Congress enacted a law that banned such nepotism at the highest levels of government. Then came Donald J. Trump, the 45th president of the United States. What does he do? He places his daughter Ivanka into a West Wing office, where she now has an actual White House job. Oh, and her husband, Jared Kushner, also now works as a senior policy adviser. Neither of them has government experience. Neither has any political seasoning. But hey, what’s the problem? Ivanka won’t take a salary, which I guess serves as Dad’s dodge in giving her a government job. However, didn’t Congress have enough fear about nepotism 50 years ago to approve a law to prohibit it? I don’t believe that concern has lessened. The thought occurred to me on this first full day of full-time retirement. My wife and I were tooling down the highway this morning and I kept making a reference to not having to go to work, that neither of us is tied to an actual paying job. The thought took me back more than 45 years when we were newlyweds, and I’m sure other newlyweds have said — and are still saying — the same thing to each other. “Hey, you’re my wife,” I would say. She’d respond with the “husband” thing. Those of you who are married know of what I am speaking. We’ve gone a long way down the road together since then. But now we’re tooling down an new highway of life. She’s been retired since 2012. I kept working a number of part-time jobs since I left the Amarillo Globe-News in the summer of 2012. I had some media jobs; I toiled for a time as a juvenile supervision officer at the Youth Center of the High Plains, aka the “juvenile detention center”; I just retired from another part-time gig at Street Toyota. 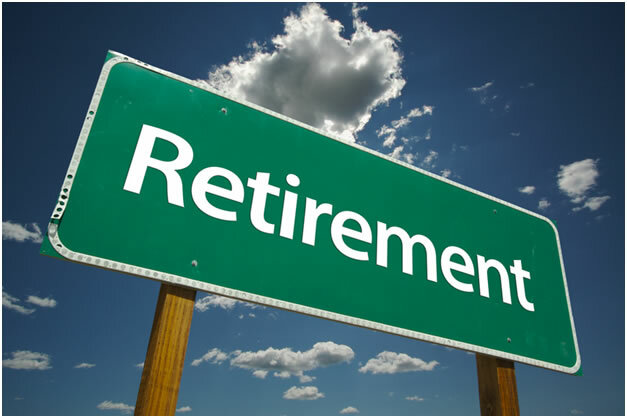 Rest assured I won’t bore you with continual blog posts about retirement. It’s so damn new at the moment, you know? Now we’re both retired. It’s a new feeling and a new experience … kind of like getting married. U.S. Sens. Richard Burr and Mark Warner have something in common. They are the chairman and ranking Democratic member, respectively, of the Senate Intelligence Committee, which is in the midst of a probe into whether Russian spooks colluded with Donald Trump’s presidential campaign to influence the 2016 election. But their commonality? It rests in the dysfunction occurring with the House Intelligence Committee. Chairman Devin Nunes is under increasing fire over allegations that he has compromised himself because of his coziness with the president. The House panel has been high-centered over the controversy. Meanwhile, Sens. Burr and Warner pledge to remain cooperative and to ensure that their committee proceeds with all deliberate speed to get the facts out. Many of their fellow Americans — including yours truly — are hoping that they can uphold their pledge. My own belief is that there needs to be a special prosecutor to do the job that Congress seems incapable of doing, which is to scour the evidence completely to learn whether there was any collusion. However, I am ready to accept Burr and Warner making a solemn promise to keep their investigation on track. Rest assured, senators. A lot of us out here are going to hold your feet to the fire. Donald J. Trump is the world’s most powerful man. As president of the United States, he has at his disposal the ability to put all this Russia/wiretap tumult to rest immediately. How does he do that if what he says is true, that all this hubbub is much ado about nothing, that it’s all “fake news”? He can order every aide with any possible tie to the Russia story to talk to congressional investigators. He can order them to speak candidly to the FBI. He can allow the former acting attorney general, the one he fired, to testify before the House Intelligence Committee. All of this, of course, presumes that Trump is innocent of the accusations that are flying all over Washington, D.C.
Did his campaign conspire with Russian hackers to influence the 2016 election? Trump says it didn’t happen. His behavior of late, however, is beginning to smell like something different. It’s beginning to develop the odor of a cover-up. House Intelligence Committee Chairman Devin Nunes is pushing back on calls for him to recuse himself from this investigation. Democrats want him out; so do some Republicans. He says he has nothing to hide. Yet he canceled a hearing with former acting AG Sally Yates. It’s fair to ask: Why? The House investigation is showing symptoms of an impending implosion. The principal at the center of all this now occupies the White House. This is Donald Trump’s controversy to squash. He can demand a full public accounting of all the questions that are threatening to swallow his still-young presidency. That presumes the president’s innocence. Does he — or doesn’t he — have anything to hide? 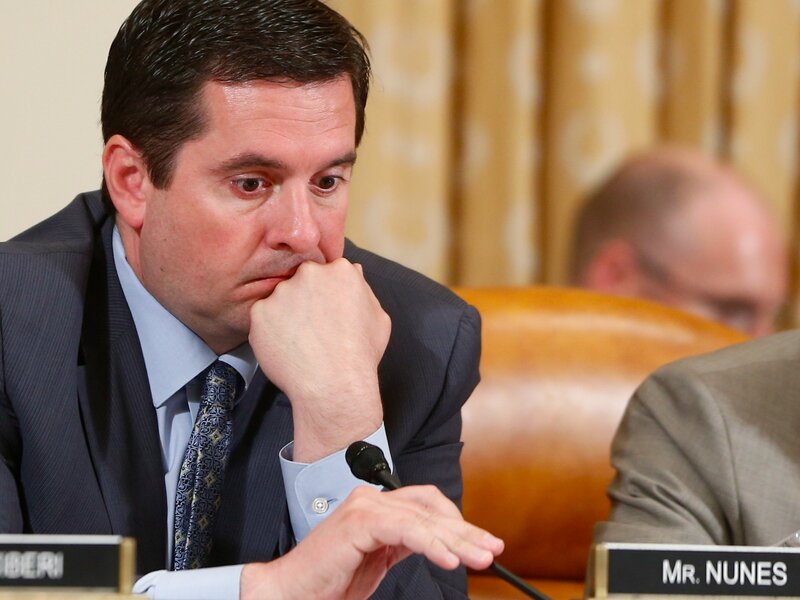 The more I think about it, the very idea of Devin Nunes chairing the House Intelligence Committee that’s examining Donald J. Trump’s potential Russia connections seems utterly ludicrous. Chairman Nunes should do what his Democratic colleagues and many of his fellow Republicans are demanding of him. He should recuse himself from the panel’s Russia investigation. C’mon, man! He served on Donald Trump’s presidential transition team. He has just recently gotten involved in an imbroglio regarding intelligence he said he had that suggested someone had spied on Trump, gathering “incidental” intelligence. Now he’s trying to explain how he managed to tell the president about it and why he did it. His objectivity has been compromised to the hilt. Ranking Democratic Committee member Adam Schiff has demanded that Nunes step down. U.S. Sen. John McCain has joined the chorus; so has fellow Republican Sen. Lindsey Graham. This, folks, now seems like a “well, duh!” moment, given Nunes’ role in Trump’s transition. The Russia probe needs dispassionate leadership from the House Intelligence Committee chairman. There needs to be a thorough examination of all the evidence that’s been gathered. * Did the president collude with Russian hackers who sought to influence the 2016 presidential election? * Did anyone on his campaign engage in collusion? Did they do so with the candidate’s knowledge? The House Intelligence Committee needs a chairman who is able — and willing — to seek the truth, no matter where it leads him. Devin Nunes is not that man.